This is most likely the first question a woman will be asked when she announces she is pregnant. Most people actually know you can’t predict when a baby will be born naturally, but the majority still cling to the belief that an estimated due date is a close guess. 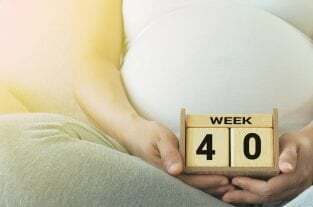 We’ve known for some time pregnancy doesn’t magically end at 40 weeks, yet due dates are persistently given out, and when babies don’t arrive ‘on time’, we’re surprised, or even concerned. Like it or not, giving out an estimated due date (EDD) has become standard practice, despite it not being based on any evidence. The truth is, an EDD is just a best guess, based on archaic theories. In 1812 a German doctor called Franz Naegele publicised a method for calculating the due date for pregnancy, using a theory that pregnancy lasts 10 lunar months, which was based on the Bible. Naegele’s Rule estimates the expected due date (EDD) by adding 1 year, subtracting 3 months, and adding 7 days to the first day of a woman’s last menstrual period (LMP). The due date is then approximately 280 days, or 40 weeks, from the start of the LMP. Another method is to add 9 months and 7 days to the first day of the LMP. An alternative method of calculating EDD is by using Parikh’s Formula. The date is calculated by adding 9 months from the first day of the LMP, adding the length of the woman’s average cycle, then subtracting 21 days. This method gives an EDD about 1 week later than the date according to Naegele’s Rule. When a woman becomes pregnant, both these methods are still used to calculate an estimated due date. If she is unsure of the date of her LMP, or has irregular cycles, she might be referred to have a dating scan. A dating scan measures the length of the fetus and the size of the gestational sac. This information can tell the doctor the gestational age of the baby. 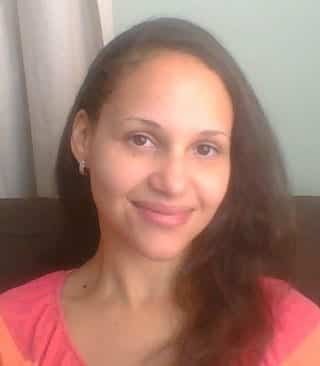 Usually a dating scan will be performed around 6-8 weeks gestation. The main flaw in Naegele’s Rule is a lunar month is not 28 days but in fact 29.5 days in length. This means 10 lunar months total 295 days, more than 2 weeks past the estimated due date Naegele’s Rule calculates. Nagele’s Rule also assumes all women have cycles of exactly 28 days, and that they ovulate on day 14. Obviously this isn’t true; woman have different cycle lengths and might ovulate earlier or later. Parikh’s Formula takes cycle length into consideration, and increases the overall gestation period, but doesn’t allow for women who have irregular cycles, or differ from the average cycle length of 28-32 days. Ultrasound dating scans are said to be accurate within 3-5 days, if performed early (before 12 weeks). The accuracy decreases the more the baby grows: the margin of error in the second trimester is 8 days, and in the third trimester it is 14 days. Why Do We Need An EDD? According to ACOG, America’s leading organisation of women’s health experts, an accurate EDD is an important basis for maternity care. The EDD is used to work out when to schedule prenatal tests, to determine whether fetal growth is on track, and to plan interventions in the event of complications which cause pre- or post-term birth. There is no denying this information is important, and knowing when their baby will be born is helpful for many parents. However, there is a great deal of concern when women pass their EDD. They begin to feel pressure from their care provider to give birth in the next 2 weeks, before reaching ‘post-term’ or 42 weeks. If a woman reaches 41 weeks without any ‘signs’ she is going into spontaneous labour, induction is very likely. Most care providers have a policy of not allowing women to gestate past 42 weeks, due to a belief there is an increased risk of stillbirth. Only 3-5% of babies are actually born on their estimated due date. Around 80% of babies will be born in the 2 weeks before or after their EDD, and the rest will be born premature or post-term (after 42 weeks). Given this statistic, it leads to the question: why are we so fixated on an EDD, when we know so few babies will actually be born on that date? A study by the US National Institute of Environmental Health Sciences (NIEHS) is challenging the accepted norm of giving women an EDD. The NIEHS research team found pregnancy can vary naturally by as much as 5 weeks or 37 days. The study, involving 125 women, is the first to calculate gestation by pinpointing the exact time of conception. The results showed a wide variation of factors contributing to gestation length. The study found embryos that implanted later gestated for longer. Older women were more likely to have longer pregnancies than their younger counterparts. It also found pregnancies with later rises in the hormone progesterone during the early stages had a gestation 2 weeks shorter than pregnancies with an early rise of progesterone. The researchers also found there was a link between a mother’s weight when she was born and the gestation of her own baby. Previous or subsequent pregnancy gestation length was also related to the one being studied. Although it was a small study, the results indicate there is a wide range in gestation length and a number of influencing factors. This should be taken into consideration by care providers, given the current trend to induce labour at an arbitrary cutoff date applied to all women. Induction rates are around 25% in countries such as Australia, the US and the UK, and most are performed on women who have reached a particular date in their pregnancy designated as ‘overdue’. Even ACOG has admitted being overdue doesn’t occur until after 42 completed weeks of pregnancy, yet maternity practices worldwide continue to induce women because they’re past their EDD. Birth is a complex and finely tuned process. Labour begins thanks to a series of unseen mechanisms, which begin to happen as the baby signals his readiness to be born, and the mother’s body responds. Science is able to do amazing things to prevent many adverse outcomes for mothers and babies today. Yet each mother and baby should be cared for based on their own personal situation, needs, and health, rather than have one rule applied to all.